Members of the Nnamdi Azikiwe University Women Association were thrown into jubilation recently as a young philanthropist, Comr. 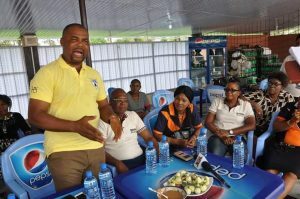 Peter Nwosu donated a delivery car to the bakery ran by the association. Comr. 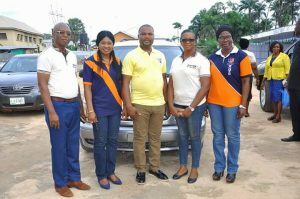 Nwosu presented the key of a Sienna car to the women association in fulfillment of the pledge he made earlier this year at the opening of the bakery. Commending the women association for what he described as a bold step in establishing the bakery, Comr. Nwosu noted that the car is his own way of supporting the bakery. He equally promised to always support whenever called upon. Receiving the key, the Chairlady of NAUWA and wife of the Vice-Chancellor, Prof. Gladys Ahaneku expressed their gratitude describing Comr. Nwosu as a rare politician. Prof. Ahaneku noted that prior to the gifting the association with a car, the benefactor has ever remained supportive to the bakery. She noted that the gift would go a long way in solving the distribution needs of the bakery. She commended the benefactor and prayed that God would replenish him in abundance. Lending his voice of gratitude, Prof. Ik Ekwealor, a member of the board thanked Comr. Nwosu for his generosity and most importantly, keeping to his words.